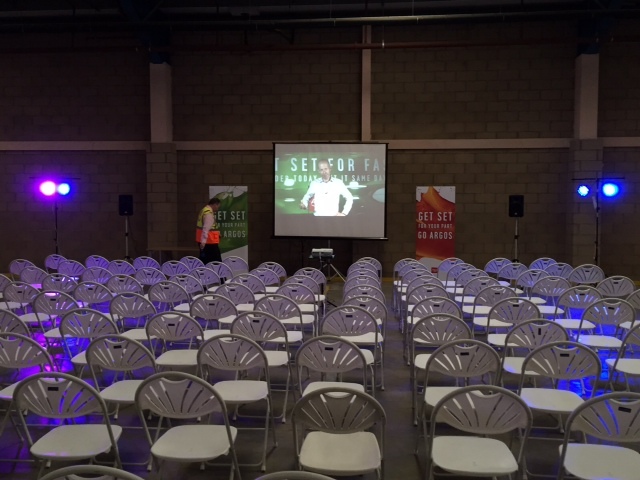 We offer a projector hire and screen hire service for all events at all venues. 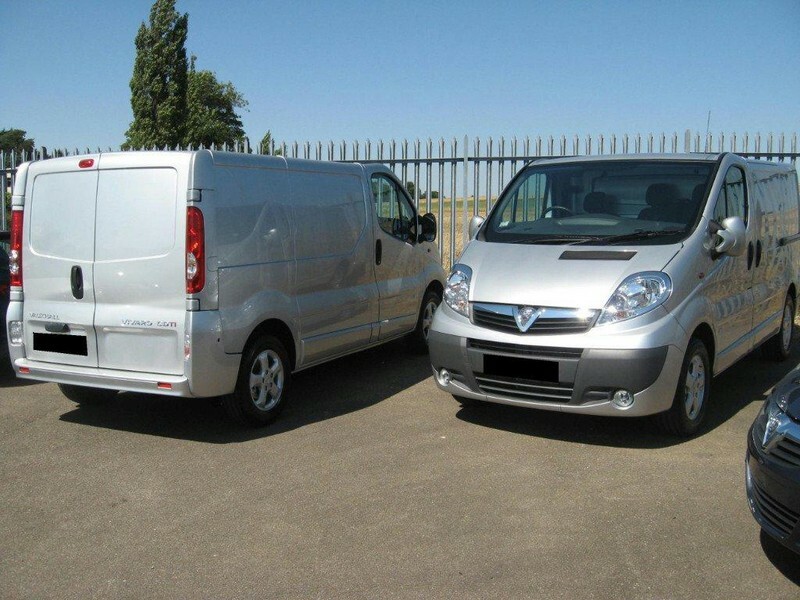 All hire bookings include delivery to the venue, any set up that may be required and we collect the equipment when your event is finished. 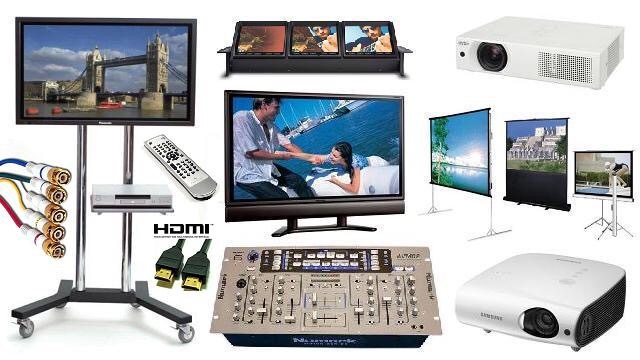 Our projectors are compatible with laptops, PCs, data and DVD players, Ipods, Ipads with the correct connector leads supplied by us for the media you are using. If you need the image source a long distance away from the projector, we can supply a powered AV signal booster to achieve this with a dual projector option if needed, using signal splitter equipment. Our standard AV hire package is ideal for corporate environments such as board rooms, presentations, promotions and business meetings. 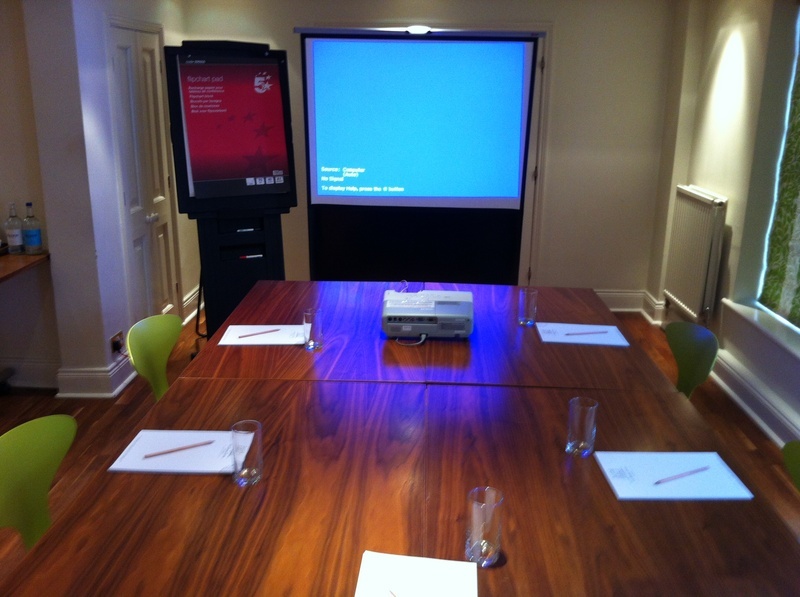 Also suitable for training courses, seminars and other corporate events with full onsite set up included. 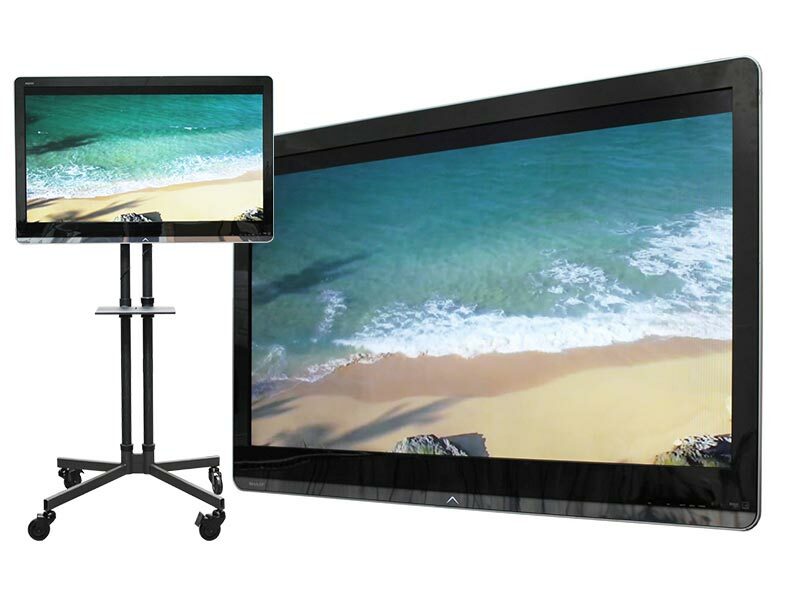 Standard portable pull up projection screens are supplied, mounted on a tripod stand and we also offer large 2.4m giant screens for corporate events or large venues. For large events with a big guest list you may require sound amplification to compliment your projector and screen hire. 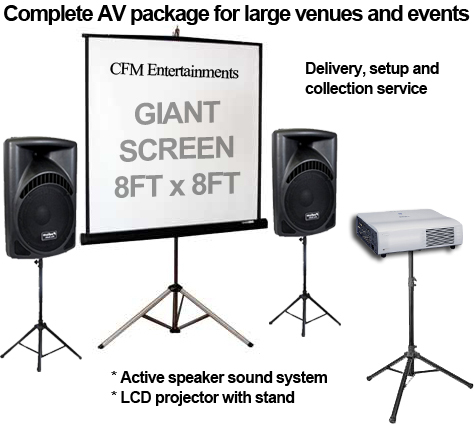 Some audio visual presentations will not work with the small speaker found in projectors so we can link our projector to a professional PA sound system to amplify your audio content. 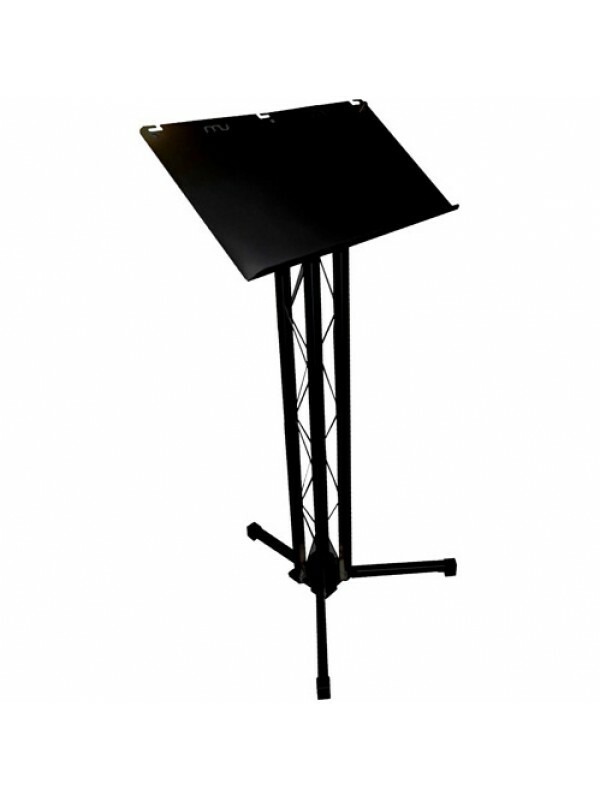 Lecterns also available. Microphones are also available for presenters. Our projectors are compatible with DVD players, Windows Laptops, Apple Macs, Macbook pro, Ipods & iPads and we supply all leads/adaptors including AV splitters & boosters if needed. USB Flash drive, external drive and micro SD cards also supported. Do you need to hire a lecturn ? Please note that bright sunshine, outdoor use even in marquees or tents and environments where spotlighting is present may have an adverse effect on the projected image and should be appreciated before booking with us as we cannot be responsible for image quality under these conditions. All media players and image source equipment supplied by the customer are their responibility and they must ensure correct functioning and product operation knowledge when used alongside our AV equipment.